Ever since it was first revealed that, amongst several other famous characters, Doctor Eggman would be making a cameo appearance in the film, people have speculated as to whether we’d get to see the likes of Sonic join him as well. Well, it appears our speculations have now been proven true thanks to a preview at the San Diego Comic-Con which confirms that the speedy blue blur will be a part of Wreck-It Ralph. Sounds like a big screen version of Sonic Sez, which as far as I’m concerned is waaaaay past cool! What’s particularly interesting about this news is that it implies Sonic will have a speaking part in the film, unlike Doctor Eggman who has been confirmed to be mute. So, the question now is – will Roger Craig Smith, the current voice actor for Sonic the Hedgehog, be playing the role if the character does happen to have a voice? Only time will tell! 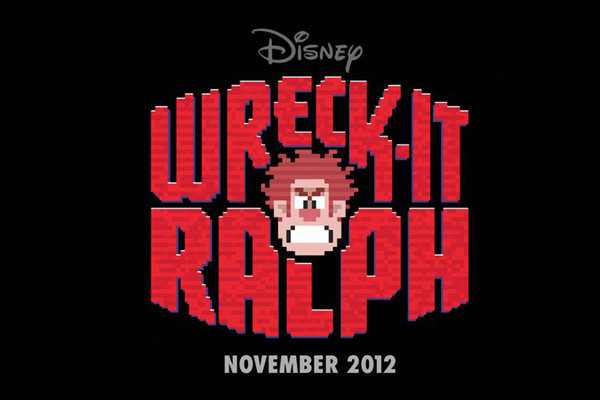 Wreck-It Ralph is set to hit cinemas in November. It’s certainly shaping up to be one to watch! < Previous Post Previous post: Competition: Win a Summer of Sonic Goodie Bag + Crush 40 Signed Merchandise! Mario and Luigi aren’t in the movie. 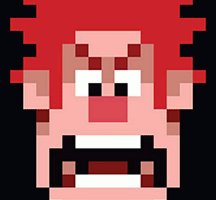 At the Wreck It Ralph Panel, they said that the rights to show them would be in the millions, so you will have to settle for Bowser only, instead. If you ask me, I think Bowser gets paid LESS than the Mario Bros. I mean, if they’re so expensive, then how do you think Bowser GOT so cheap, in the first place? I’ll tell you how, by beating the Fury-Having crap out of Fawful and his minions! SERIOUSLY, his fighting style is cheap – It’s basically Punch, Flame, and Minion-Attacks! Get Mario & Luigi: Bowser’s Inside Story, it’s awesome! This is something I read last night, and very well false, so don’t get too upset, but supposedly Nintendo wanted too much money for him and Luigi. Sonic’s in by himself in this one. Which I suppose is good, there’s no Mickey Mouse-Bugs Bunny-like debate going on here now, like with Who Framed Roger Rabbit. Bot one to be cynical, and I sincerely hope he does have a speaking role, but “Sonic the Hedgehog is featured in a PSA” doesn’t necessarily mean he’ll be speaking. He could just be there. Has Eggman been confirmed to be mute? I don’t expect Sonic to speak, more like he’ll show up onscreen with some sort of logo or message, and the PSA will be a voiceover saying “Sonic says [etc.etc.etc.]”. Well if Sonic is in them Mario must appear in the movie as well…right? Great news guys 😀 But, I have a question (sorry, my native language is not english). What PSA could mean? Thank you guys! I wonder who will voice home….I hope it’s Ryan Drummond….I CAN HAVE DREAMS TOO! I meant HIM, not Home. If Sonic’s going to have a (hopefully) speaking role in a PSA, it’s only right that he be played by Jaleel White. ok, someone put that scene up on youtube before yesterday! what are you waiting for?! E3 2013?! THIS IS AWESOME! 😀 Sonic is finally hitting the big screen… granted, not his own movie, but still the big screen! It is WAY… WAY PAST COOL! Hopefully it’s HIM and not just his voice. Absolutely splendid! Now the question is, is it only his voice or an actual appearance? No better way to advertise to knew people than to have him make an actual appearance. Nice,this just confirms even more that I’m seeing this movie.Too bad there won’t be any Sonic/Mario interaction,this is still the Who framed roger roger rabbit of video games.And lastly why wouldn’t Roger voice Sonic he is Sonic current voice actor.As if they’d actually pull Ryan.D or Jason for the archives to voice him come on ! That just like when fans asked for Ryan instead of Jason fo Smash bros, it made no sense. Well look at it this way…for once again SEGA will be on top of things….I mean we still don’t know if Mega Man is showing up in this movie ? So either way we should be a bit glad that we have this better than nothing at all, right ? *Jaleel White voice* Remember kids, don’t die in a game that isn’t yours; you’ll never regenerate! I just came back from Sonic Boom and, while I didn’t see the clip, I can confirm that Roger is voicing Sonic in this. Do you actually see Sonic as well, or is it just like his picture on a screen with a voice coming from it? I could not attend Comic Con, nor Sonic Boom. However, my friend John did attend Sonic Boom, and he saw the Wreck-It Ralph ten minute preview. I asked him several questions, and he told me that a CGI animated model of Sonic the Hedgehog appeared in the film, and that Roger Craig Smith did in fact voice the blue hedgehog. Roger is voicing Sonic?! Yeah BOI!! Great… My inner sonic fan will now sadly make me watch this movie when it comes out now. Wait, how the hell did Sega afford Mario for the Olympic games? This definately would not be something that’s just simply read! OH MY GOD YES!!!! FINALLY I’LL GET TO HEAR A GOOD LATIN SPANISH SONIC VOICE DUB!!!! I WONDER WHO WILL IT BE??? I’M SO EXCITEEEEEDDD!!!! I absolutely cannot wait until the movie comes out! 😀 also, rumor has it that Sonic during the movie will appear again to talk to Ralph about heroism, and what it truelly means (hero at heart) than just having a PSA! OMG! 8D Totally seeing this movie when it comes out!